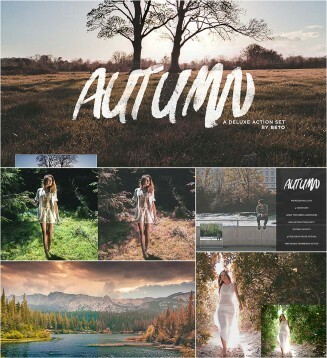 Set of 4 Photoshop actions to give your images an Autumn season effect. Change those vivid greens into warm, dry, romantic yellows, oranges and reds. 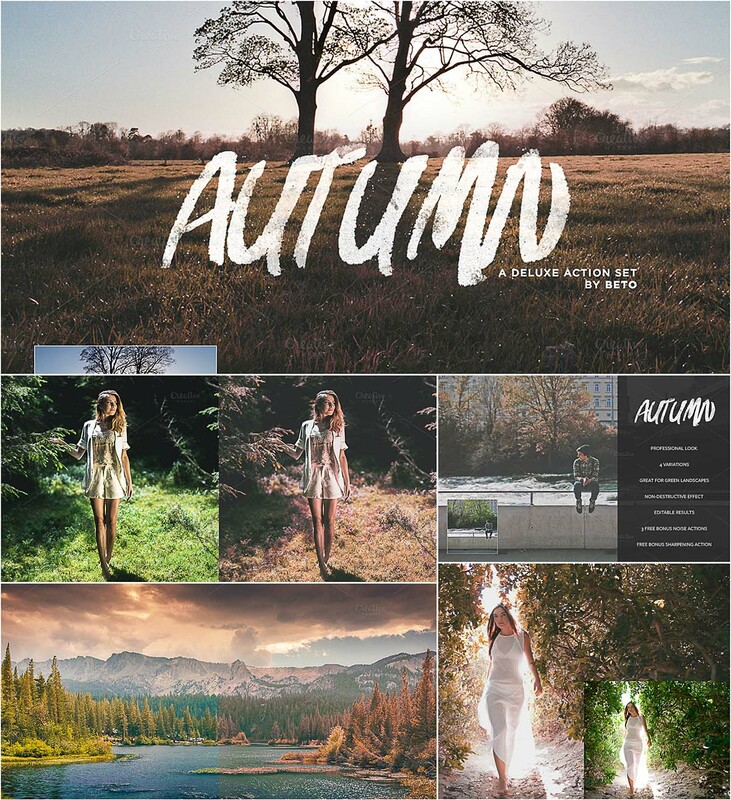 File format: .atn for Photoshop and Lightroom. Tags: action, effect, photoshop, season, warm.